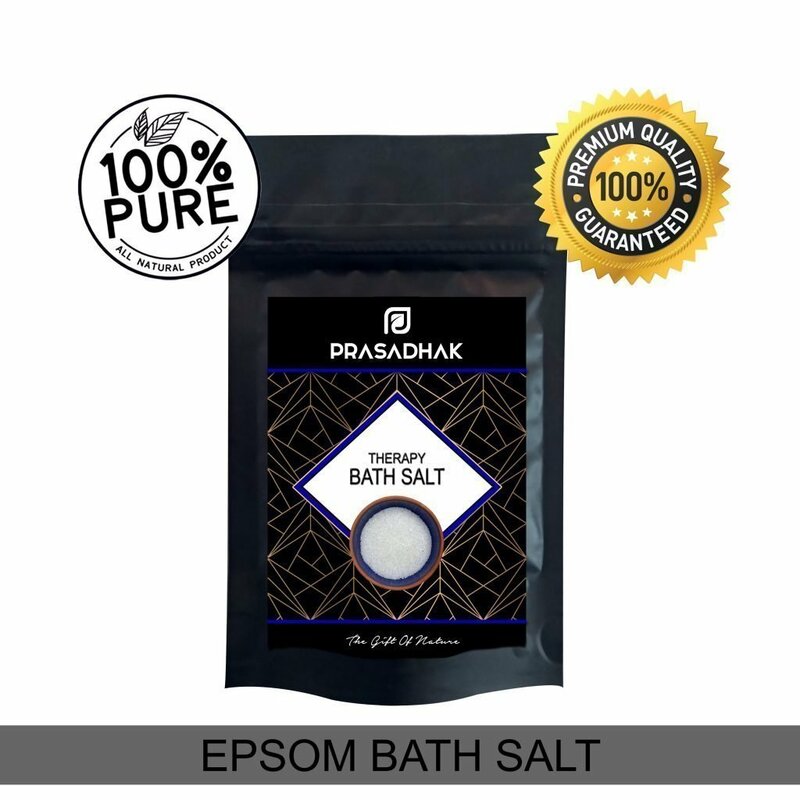 Epsom Bath Salt, technically known as Magnesium Sulfate, has numerous therapeutic health benefits. 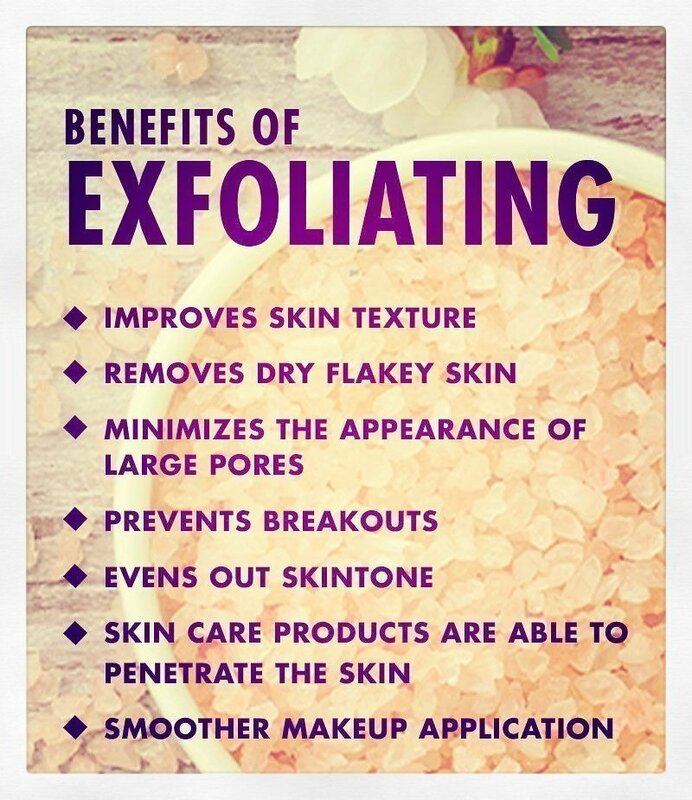 It allows for maximum mineral absorption into skin when added to your bath routine. 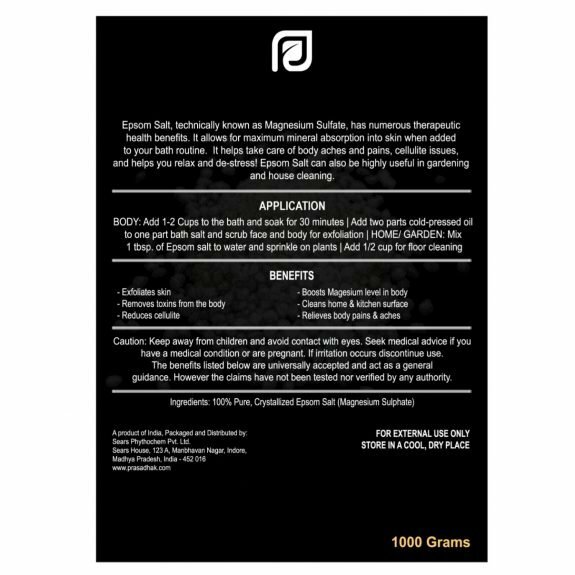 It helps take care of body aches and pains, cellulite issues, and helps you relax and de-stress! 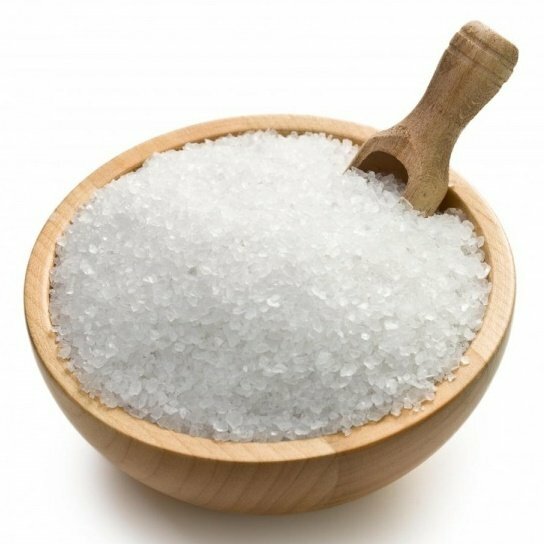 Epsom Salt can also be highly useful in gardening and house cleaning. 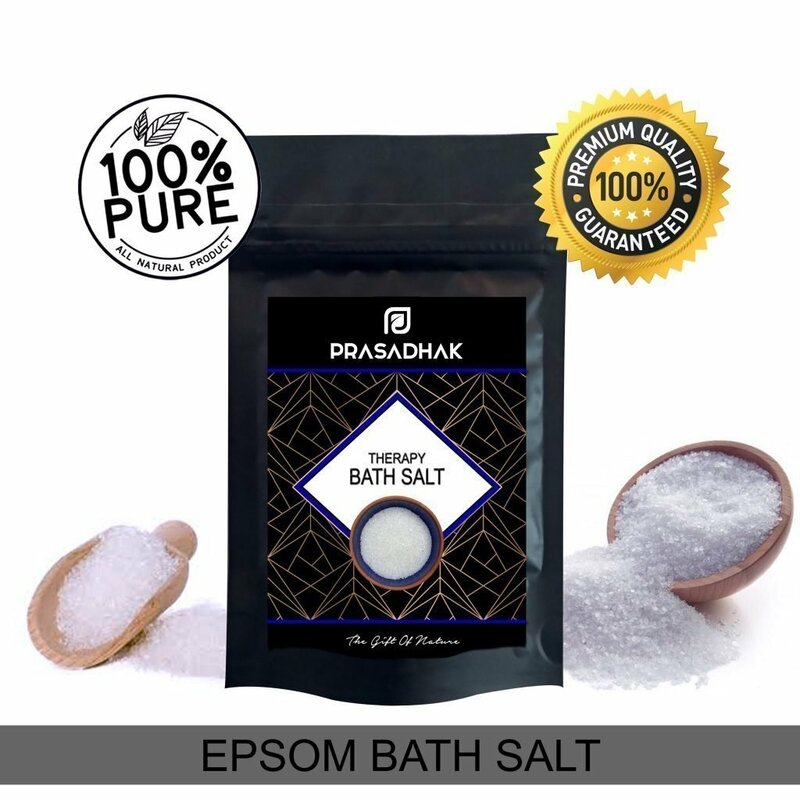 PURE EPSOM SALT (MAGNESIUM SULFATE): Known for its amazing therapeutic qualities, an Epsom salt bath can help to relieve muscle aches and pains of an expecting mother and even post-delivery, relieve aching feet, cleanse pores, reduces cellulite, flush out toxins, and detoxify the skin. 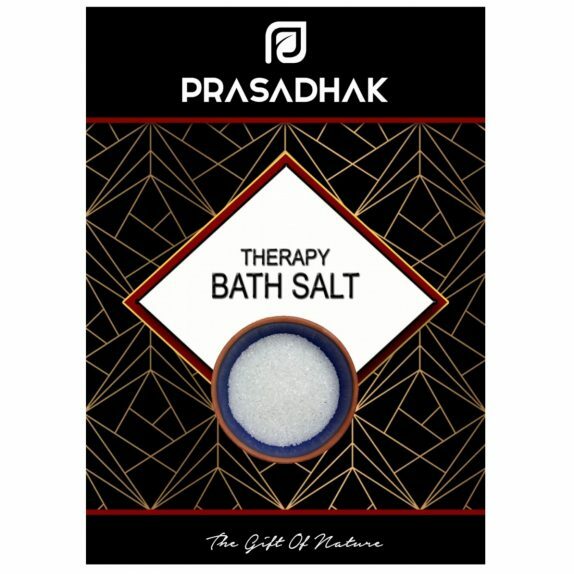 ELIMINATE TOXINS: Human skin is a highly porous membrane; by adding minerals like magnesium and sulfate to your bathwater, it triggers a process called reverse osmosis, which actually pulls salt out of your body and harmful toxins along with it. 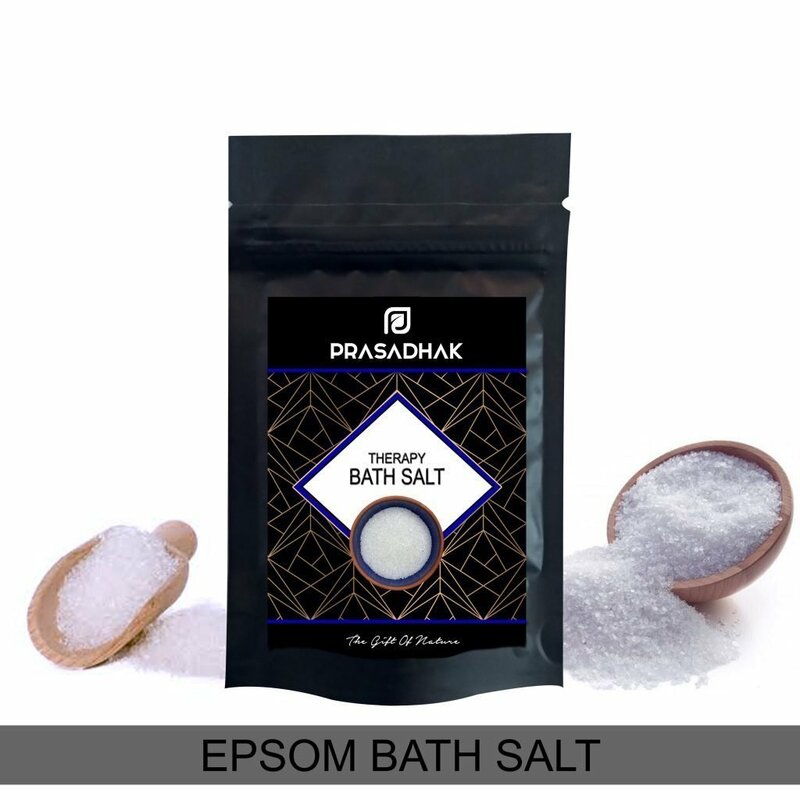 RELAXES MUSCLES- Magnesium in the Epsom salt not only help to relax your muscles, it can also help to relax your mind. Magnesium has been known to ease stress, improve sleep, and boost concentration. This mineral also helps muscles and nerves function properly and regulates the activity of over 300 enzymes. HOUSE & GARDEN USE: Cleans home & kitchen surfaces. Use to wash bathroom tiles, washing machine, and other appliances. Can be used as a plant fertilizer, for weed control, insecticide, slug prevention and more! 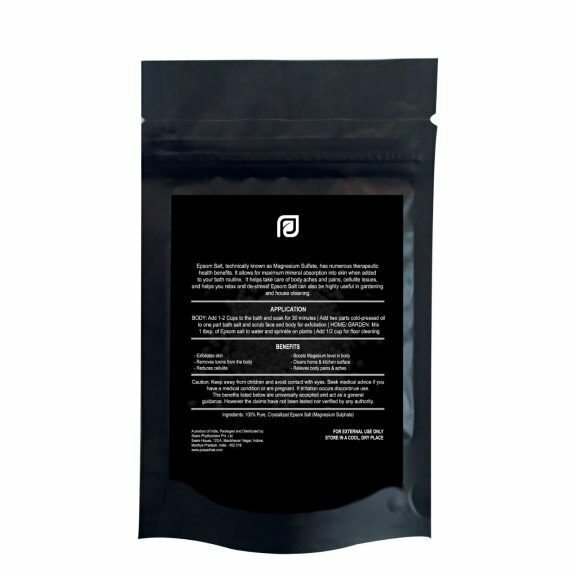 DIRECTION OF USE: Our Epsom Salt is a naturally translucent/white salt in medium grain and will melt within seconds of contact with water. Seek medical advice before using the product, if you have any medical conditions or are pregnant. If irritation occurs upon use of the product, discontinue its use immediately. A decent launch from Prasadhak. I have used their products in the past and completely trust their products that’s why I bought this. 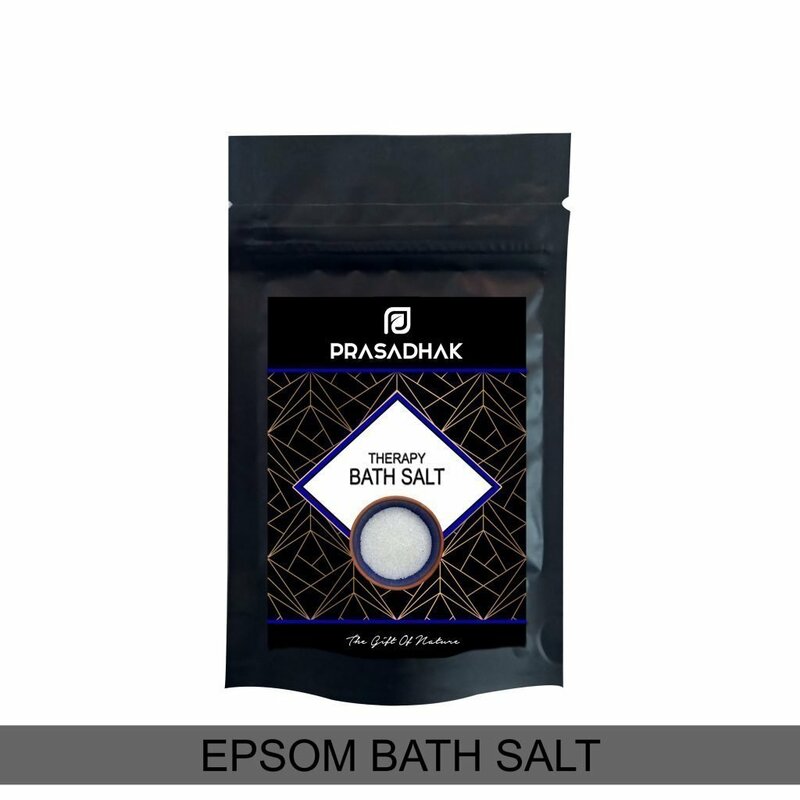 The epsom bath salt is surely very effective for me and helps to get rid of muscle pain. Thank u prasadhak.